I find it utterly baffling that anyone should imagine the problems with CAFCASS are down to a lack of funding. The fact that Anthony Douglas thinks the national disgrace he presides over represents a 'world class' service should be an indication of one of the underlying problems. The claim by the judiciary that they are satisfied with the service should also ring alarm bells. The Public Accounts Committee, who only interviewed the 4 people most likely to sing the service's praises, has only scratched the surface of the problems within CAFCASS, few, if any, of which are linked to funding. It would be naive, surely, in the present economic climate to expect yet more funding for this shambles when part of the remit for the Family Justice Review panel is to come up with a cheaper system - it ain't going to happen, John. A more constructive and creative solution is called for, rather than yet more of the same. But will any replacement for Cafcass receive the funding it requires? I was going to post something but Nick beat me too it. Yes, I agree with John, for a change. Any replacement for cafcass would be an improvement. Throwing money at the problem isn't an answer. My experience of the staff has been that they have been very poor and will side with which ever way the wind blows. Probably better to go back to the old system which was in place before it and close it down. 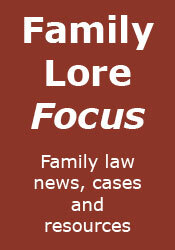 There is a lack of faith in it as there is in family court by non resident parents.